Wonder why some days drag on forever and other days quickly fly by? Want to avoid feeling burned-out at work? 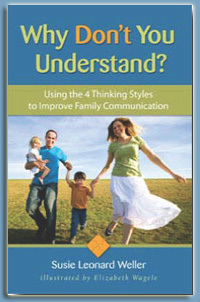 Like to communicate more effectively with people who think very differently from you? 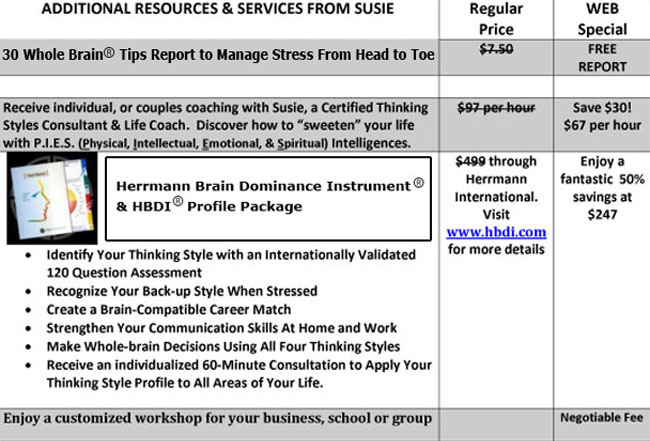 The Herrmann Brain Dominance Instrument® (HBDI®) can help you to develop a Whole Brain® approach to improve your relationships and career choices. What is the Herrmann Brain Dominance Instrument® (HBDI®)? "People cannot afford to choose between reason and intuition, or head and heart any more than they would choose to walk on one leg or see with one eye." 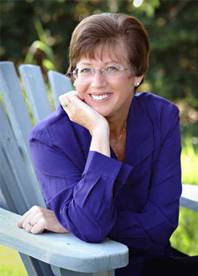 Click here to get a sign up form for any of Susie's Services.